Our marine ecological research includes biogeography, macroecology and community ecology, from inter-tidal systems to reefs. Though covered in those sections, they are listed again here for students interested in marine biology. 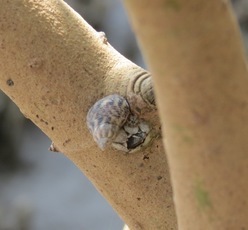 We have worked on inter-tidal invertebrates and have carried out community level studies of species associations on rocky shorelines on the west coast of India as well as macroecological studies on the east and west coasts of India. Naveen Namboothri carried out his post-doctoral research on coral recruitment and recovery in the Andaman Islands. We are also working on the phylogeography of marine gastropods, combining molecular data and oceanographic models to study the effect of dispersal and habitat on population structure. 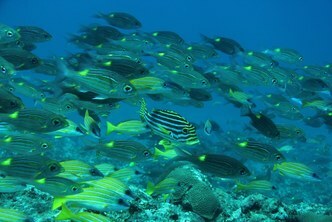 And we are working on reef fish behaviour, particularly mixed species foraging groups.